Palace covered : Birla Mandir, Albert Hall, Hawa Mahal, Jantar Mantar, City Palace, .Jal Mahal, Amber Fort Fatehpur Sikri Taj Mahal Agra Fort and Mathura. Note : The fares indicated against package tours displayed on this website are subject to seasonal variations. The fare will be charged prevailing at the time of booking. Customers may please check the change in the fares / tariff through e-mail / phone. Delhi- Aside from being the capital of Republic of India, Delhi is famed for its architecture, geographical importance and brilliant monuments spread across the city. 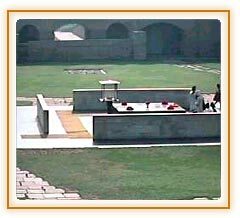 Starting from Red fort, also known as Lal Qila in local language, the might of Delhi is well accentuated with Qutub Minar, Lotus Temple, Jantar Mantar and residences of President and Prime minister of India. While summers in Delhi are sweaty and edge on even burning, winters are chilly and freezing often. A journey worth taking. Widely known and accepted as “Pink City”, Jaipur is the essence of ornaments, handicrafts and artwork which makes it inimitable and one of its kind city to venture. 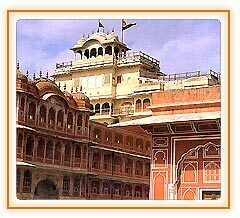 The majestic city in Rajasthan, being robed in pink makes it imperial and tourism to Amber Fort, Hawa Mahal, Jantar Mantar, few national parks and gardens is sure to engross you in the city. The markets in the contracted lanes are jam-packed with ethnic outfits, textiles and the tempting eatables will lure anyone. Jaipur is branded for fiestas and events like kite festival, teej festival, camel and elephant festival and all these will leave a mark in everyone’s heart. The first thing when we think about Agra, its Taj Mahal-one of the seven miracles of the world; a monument of infinite love and beauty built by emperor Shah Jahan for his adored and much-loved wife Mumtaz. 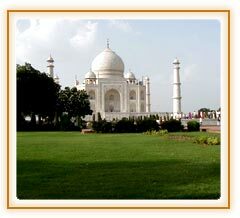 There are lot more yearning palaces and monuments in Agra namely, Agra Fort, Fatehpur Sikri which is worthseeing. While the palaces and monuments add to the charm of the city, the food in Agra aborbs you. The legacy and culture really makes this city momentous. Commonly known as Shri-Krishna city, Mathura is situated in Uttar Pradesh. The place itself becomes sacred as Lord Krishna was born here and spent early stages of his life in the aromatic woods of Mathura. This city is rich with Hindu culture and a pure devotee of Lord Krishna would find solace in many temples like Isckon, Baldeo temple and get connected to Krishna Ji at Vrindavan, Sri Krishna Janmabhoomi. This city is highly rich in values, principles and humanity.